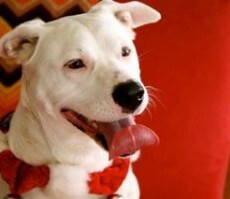 » Dog Adoption News » What is a rescue dog? Comments Off on What is a rescue dog? If you’ve ever heard the term “rescue dog” and had images of a canine dragging a human out of a burning building, you’re not wrong. If your neighbor with the cute little pure-bred shitzu proudly reminds you every time you see her that her dog is a rescue dog, you might be a little confused. Actually, both examples are correct. While there are many heartwarming stories about service dogs all over the world who provide therapy, search and rescue services, and physical aid to humans with disabilities, the type of “rescue dog” we are referring to in this article is a little different. In simplest terms, a rescue dog is a dog who needs a new home. Dogs who are adopted from shelters or rescue organizations are referred to as rescue dogs. They run the entire spectrum of age, breed, personality and level of health. A rescue dog is a canine who needs a human to give it a second chance. Currently, all over the country, there are many types and breeds of dogs that end up in animal control shelters just waiting to be euthanized. Almost all of them are in this awful position as a result of humans being selfish. People make hasty decisions about getting a dog and then don’t follow through on the many years of commitment that getting a dog requires. The numbers are staggering, and a sign of a true epedemic. The most important action you can take is to really think through the decision and consequences (good and bad) of adding a dog to your life. If everyone took just a little time for thoughtful reflection on the impact of caring for a dog for many years ahead, we could save thousands of unnecessary deaths. Another important action is to always spay or neuter your canine loved one. There are more puppies in this country than people willing to take care of them, and accidental pregnancies add to the problem. Finally, if you’ve heavily weighed the pros and cons of adding a dog to your family and the answer is ‘yes’, then absolutely ADOPT! Take your time and don’t let your excitement rush you into any decisions. Check out our checklist of considerations before you go out looking because once you look into those big eyes, all reason could fly out the window. 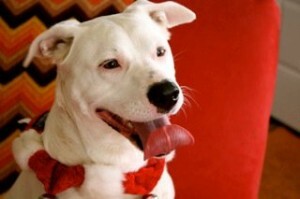 There are hundreds of breed-specific dog rescues all over the country. If you find yourself partial to Boston Terriers, for example, with memories of your childhood companion, a quick google search will reveal that there are many others who are also passionate about Boston Terriers. You might find breed-specific rescues in your town, state, or region but don’t let distance deter you! Breed-loving humans volunteer to make sure that the dogs they foster find good homes. Often, they will drive dogs across states, fly them across the country, or do whatever they need to place their foster dogs in the right home. There’s nothing like the friendship between people who love dogs enough to make huge sacrifices for their well-being. Rescue dogs are the best breed on Earth! You will have many years of heart-felt joy knowing that you were the caring person who gave your dog a second chance on life.